(Tetum) Over the last few months, Timor-Leste has been experiencing above average rainfall. There have been at least two major floods in June in the area of Viqueque and Ainaro. On 22 June, Betano experienced the highest rainfall on record for June with over 270mm in one day. This increased rainfall is related to increased sea surface temperatures in the Timor area. 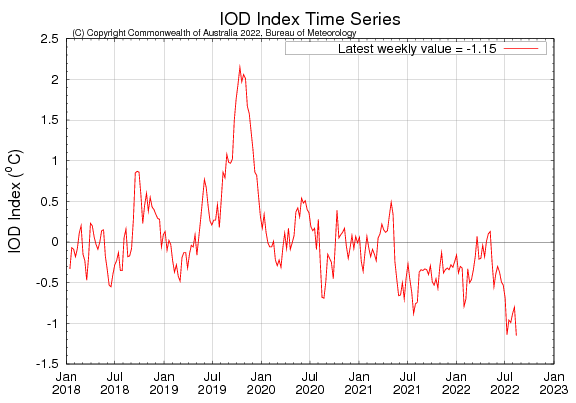 We have also entered into a negative phase of the Indian Ocean Dipole (IOD). This is a climate phenomenon that occurs across the Indian Ocean to the west of Timor and results in above average rainfall in the Timor region. An IOD event usually starts around May or June, peaks between August and October and then rapidly decays. On average, a negative IOD occurs 4 times in a 30-year period. We have had only one since 1992, in late 2010 and was coupled with the strong La Nina event. At Seeds of Life we have been doing a lot of education around the El Nino Southern Oscillation (ENSO), a climate phenomenon across the Pacific Ocean. 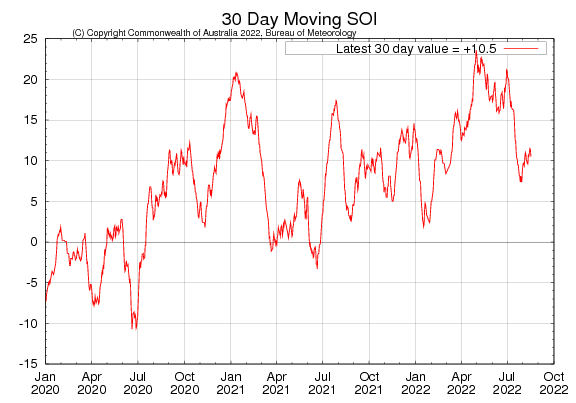 There has been a move to more positive values of the Southern Oscillation Index (SOI), which is an indicator for ENSO. Consistent values above +8 may lead to a La Nina event and increased rainfall. Values are currently neutral and this phase is expected to remain neutral over the next several months. In any case, it looks like a wetter than normal dry season for Timor Leste.